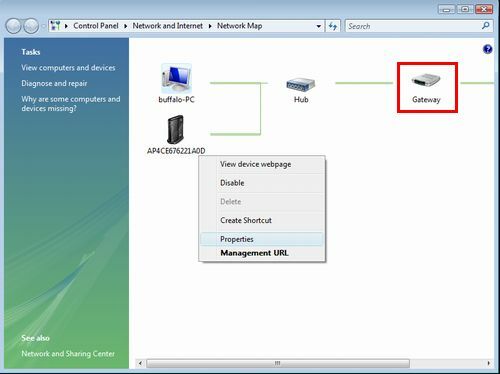 How can I check if UPnP feature is working properly? (Windows Vista) - Details of an answer | Buffalo Inc. Check if UPnP feature is working with the following procedure. Click [Start] - [Control Panel] - [View Network status and tasks]. Right-click [Gateway], then select [Properties]. 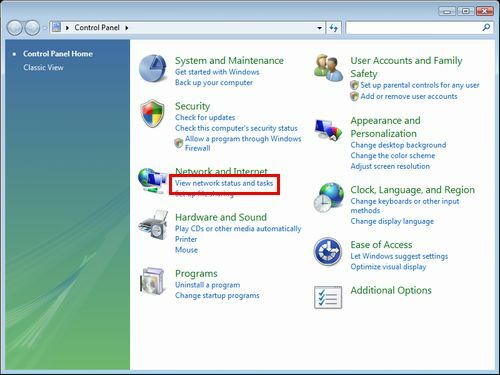 If the menu doesn't appear when you right-click [Gateway], "Network Discovery (UPnP)" on Windows Vista might be disabled, it might be blocked by Windows Firewall, or your router's UPnP might be disabled.